For the second time around, I was asked to cover the Kalanguya Festival (the first time was in March 15, 2003), now on its 20th year, in Sta. Fe, Nueva Vizcaya, joining a media group consisting of two other print media representatives (Roel Hoang Manipon, Asst. Editor of The Daily Tribune, and Alexis B. Romero, reporter of The Philippine Star) and three staff from the Department of Tourism (Rolando “Rollie” Cagasca, Ramon “Mon” Rebulado and Gener Carlos). We all left Manila by 7:15 AM and the 216.85-km. trip took all of 6 hrs., including a stopover for lunch at a Chowking branch in San Jose City (Nueva Ecija). We arrived at the town by 1:30 PM and were warmly welcomed by Mayor Liwayway C. “Liway” Caramat and Municipal Tourism Promotion & Development Officer Ma. Theresa Farrah C. Dugay. After our courtesy call on Mayor Caramat, , we were checked in at cottages within the 2,200-hectare Santa Fe Forest Park, a reforestation project with Benguet pine and West Indian mahogany (Swietenia mahagoni). The Grand Parade was to also start here and contingent members were billeted within buildings in the park. The Santa Fe Forest Park was an erstwhile reforestation project of the DENR that commenced in the mid-1950s. It covers around 2,200 hectares of areas in Barangays Bacneng, Baliling Villa Flores and Poblacion. On September 22, 1997, the Sta. Fe Forest Park was established for nature-based tourism, covering about 1,000 hectares within the 11,664 ha Consuelo Reforestation Project. The DENR, through a Memorandum of Agreement, handed over the management of the reforestation project to the LGU of Sta. Fe, which eventually paved towards the development of the erstwhile project into a forest park. Jandy and I were supposed to go on a beach camping and island hopping tour in Pagbilao (Quezon) but, at the last minute, my companions backed out and we were left with the possibility of, for the first time in a long while, of spending Holy Week at home. While on Facebook come Wednesday morning, Ms, Violeta Imperial of Nature Awareness and Conservation Club appeared on chat and ask me where I was spending the holidays and, of course, I answered “nowhere.” She offered her Sorsogon whale shark watching tour but, wanting to escape the oppressive heat of the city, inquired, instead, about her Sagada/Banaue tour. There was only one slot left but Violet offered to check if there were Ohayami Bus (the only bus company plying the Manila-Banawe route) seats still on offer. After about an hour, she told me I was in luck as the bus company had some “chance passenger” seats. I returned to my usual packing, this time replacing beach wear with cold weather attire (jackets, woolen caps, etc.). With our backpacks and a take-out Jollibee dinner and half a dozen Krispy Kreme doughnuts, Jandy and I were brought to the bus terminal by my daughter Cheska and her boyfriend Marve by 8 PM. Here, we met up with Ms. Jocie Dimaculangan, our tour coordinator, who also had, in her care, sisters Jessica and Jasmin Bez, Ms. Joy J. Tenedero, Ms. Desiree R. Benitez, Ms. Long R. Garcia, Ms. Eureka Joy Bueno, Ms. Diosa Diaz, married couple Lilia Kristina and Aldrin Tejada; and Mr. Donald Jesus G. Danao. We soon boarded our bus and Jandy took his assigned seat while I waited for my “chance passenger seat” which turned out to be a plastic monobloc chair placed at the center aisle (there were 6 of us seated that way). Truly, a first for me. Our supposed-to-be 9 PM bus left the terminal by 9:30 PM and it had to negotiate holiday traffic to make it to the North Luzon Expressway (NLEX). It was lights out by then and everybody on the regular seats were soon asleep. It was a different case for us “chance passengers” as we had to stay awake in case the bus suddenly speeds up or stops. How I envied the others. Jandy and I were soon wrapped up in our jackets and woolen caps as the bus airconditioning was set to high. Our bus had a long traffic spell somewhere in Baliwag (Bulacan). Past that, we made our first stopover for peeing and meals at Sevilla Sweets and Restaurant at San Miguel (Bulacan) by 11 PM. Afterwards, I somehow was able to get some shuteye until I was rudely awaken by the swaying of the bus as it negotiated the winding Dalton Pass in Nueva Vizcaya. Now I had to hang on for dear life as my chair moved with each turn. We made our second and final rest stop, by 4 AM, at the Save Oil Gas and Restaurant in Aritao (Nueva Vizcaya) where I had a cup of chocolate. Peeing at its clean restroom set us off by PhP5 each. Nature Awareness and Conservation Club, Inc.: 18 Pioneer St., Moonwalk Village, Las Pinas City, Metro Manila. Tel: (632) 801-1720. Mobile numbers: (0932) 243-9478 and (0915) 510-1600. E-mail: Mother_Nature888@hotmail.com. Ohayami Trans: cor. Lacson Ave. and J. Fajardo St., Sampaloc Manila. Tel: (632) 516-0501. Mobile number: (0917) 561-7344. E-mail: ohayami@ohayamitrans.com. Website: www.ohayamitrans.com. The Canili-Diayo Dam and Reservoir, a tributary of the Pantabangan Dam, is probably the most picturesque irrigation dam in the country. Situated on the border of Nueva Vizcaya and Aurora provinces, the Canili River Reservoir, on the left coming from Manila, is part of the town of Alfonso Castaneda (Nueva Vizcaya) while the Diayo River Reservoir is part of Maria Aurora (Aurora). Built in the 1970s, the dam’s earth dike is part of the Pantabangan-Canili-Basal-Baler Road. This bypass road was originally a two-lane road but now access is restricted to one vehicle at a time to minimize vibration on the earth fill dam walls and protect the dam from deterioration. The direction of flow depends on who approached the other end on the road first. To prevent speeding, a number of humps were also placed on the road. There is also a 10-ton vehicle weight limit being imposed. Trailers and large trucks are banned. Big trucks pass through the old route – Nueva Ecija-Aurora Road passing through Bongabon town (Nueva Ecija) and San Luis town (Aurora). 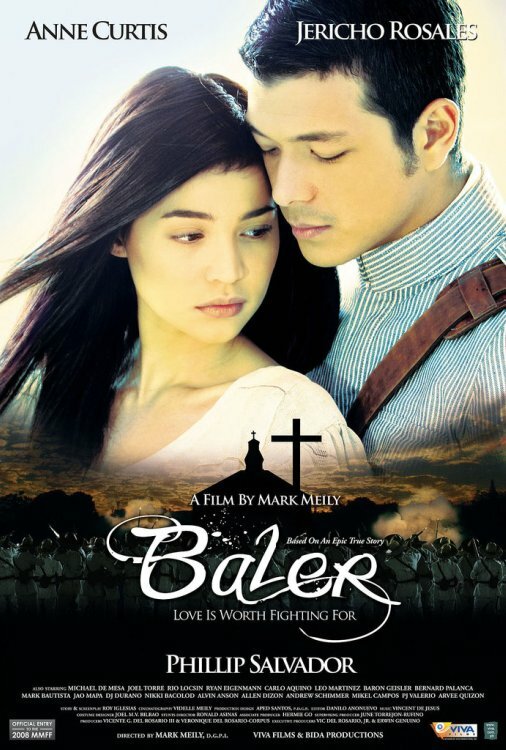 Baler, the provincial capital and center for trade and industry of Aurora province, recently hit it big when its namesake movie Baler won Best Picture and a host of other awards in last year’s Metro Manila Filmfest, its plot based on the 337-day (June 27, 1898-June 2, 1899) siege of its Spanish garrison by Filipino rebels. When it finally surrendered (the last to do so in the country), Gen. Emilio Aguinaldo, in admiration, declared, on June 30 (now Philippine-Spanish Friendship Day), that the remaining 33 Spanish soldiers were not be imprisoned but honored as friends. 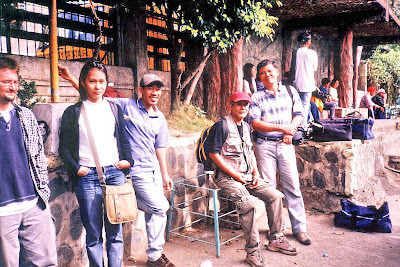 Me and my family watched it and, being actually filmed on location, I was also impressed by its rugged scenery and decided to visit it, doing so on Holy Week. Joining me were my two kids, Jandy and Cheska, plus lady friends Ms. Lourdes “Lulu” Siguenza and Ms. Rosevie “Vi” Sevilla, an avid photographer. As we left Manila late afternoon of April 8, Wednesday. Traffic was relatively light considering it was the eve of the Holy Week break but, once out at the North Luzon Expressway (NLEX), I took the wrong exit and was, instead, on our way to Zambales before I realized my mistake and backtracked, losing valuable time (not to mention the gasoline) in the process. Dinner was at a Chowking outlet at a rest station along NLEX. Late evening caught us in San Leonardo, Nueva Ecija, and tired from all these misadventures, decided to call it a night, pulling into a roadside drive-in motel. I was speechless when Cheska inquired as to the strange furniture as well as the bathroom with the see-through glass in our room. Come morning, we continued on our way and made a short stopover, along the Cabanatuan-Palayan Rd., at Camp Pangatian, 8 kms. from Cabanatuan City. There are 2 routes to Baler – the Baler-Bongabon (Nueva Ecija) Road and the longer Pantabangan-Canili Road. As the former was impassable during the rainy season, we opted for the latter. Just the same, at least 20 kms. of the trip was along gravel roads at Alfonso Castaneda (Nueva Vizcaya), the last town before entering Aurora province. Here, we made photo op stopovers at Pantabangan Lake (a man-made lake resulting from the construction of the Pantabangan Dam) and its tributary, the Canili-Diayo Dam and Reservoir, probably the most picturesque irrigation dam in the country. We entered Aurora province at Maria Aurora town (the province’s biggest). Here, we made another stopover at Balete Park and its star attraction – the Millennium Tree, a massive, 49-m. high, 10-15 m. wide balete tree. Northern Luzon is a prime tourist destination in the Philippines. The Cagayan Valley, with its rich cultural heritage and stunning geographic diversity of scenic mountain ranges and valleys, is one of the most beautiful and exciting of these destinations and Nueva Vizcaya offers both man-made and natural wonders (the legendary Salinas Salt Spring of Bambang, the amazing Alayan-Kapisaan Cave System of Kasibu, etc.). Its many cultures is also worth immersing into. 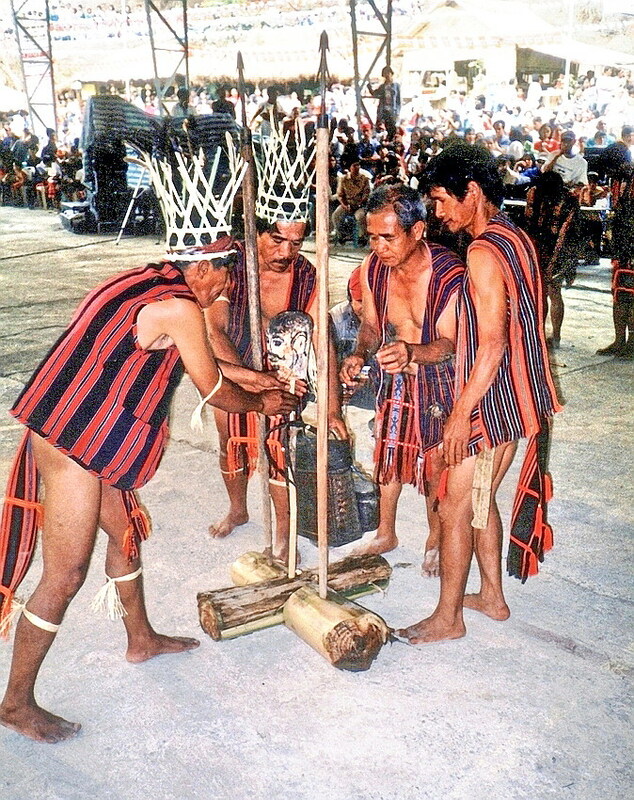 One such cultural heritage, that of the Kalanguyas, is showcased in Sta. Fe’s Kalanguya Festival. 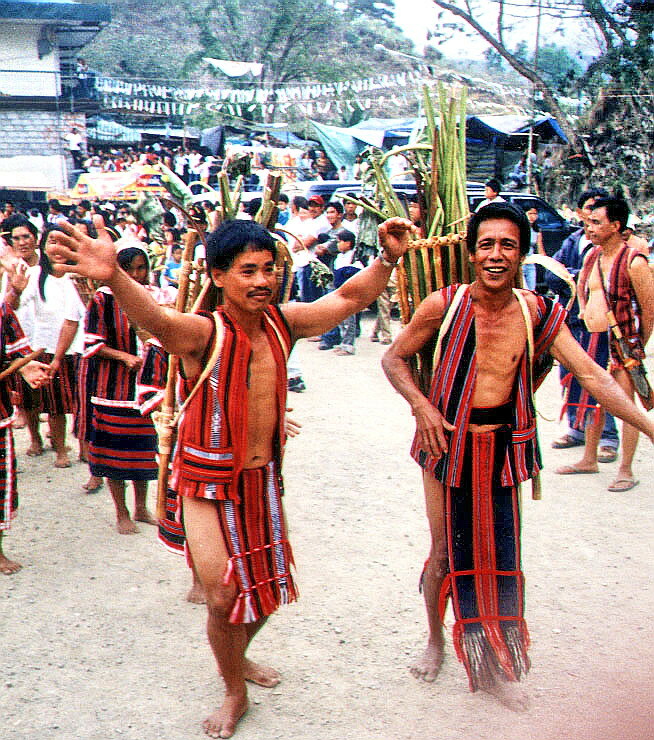 The National Commission on the Culture and Arts (NCCA), through its Committee on Northern Cultural Communities, strives to promote and revitalize traditional culture and arts through distinctive or unique festivals that continue to be part of the local population’s life and culture. For the second time around, the NCCA has supported, with grants, this festival which showcases the Kalanguya’s rich cultural heritage. Yours truly was tapped to write an article on this unique festival held on the second week of March. Joining me were NCCA Project Development Officer Ms. Leah A. Luna; NCCA videographer Mr. Nonoy Froilan; Mr. David Greedy of Getty Images; free-lance writer Mr. Gerry Gracio and COLORS photographer Mr. Joseph “Jay” Agcaoili. We all left Manila by 10 PM via a Nelbusco bus. The 216.85-km. trip took all of 5 hrs. (including stopovers). It was a chilling ride for me as I forgot to bring a jacket, a regret that was to stay with me even during my stay at the town. The 399.82 sq. km., pleasantly cool, fifth-class municipality of Sta. Fe is the first town to be traversed when going to the Cagayan Valley. We arrived at the Golden Rose Hotel by 3:30 AM, billeting ourselves at 3 of the hotel’s 9 non-airconditioned rooms. After a short 2-hr. sleep and early breakfast, it was off to work. 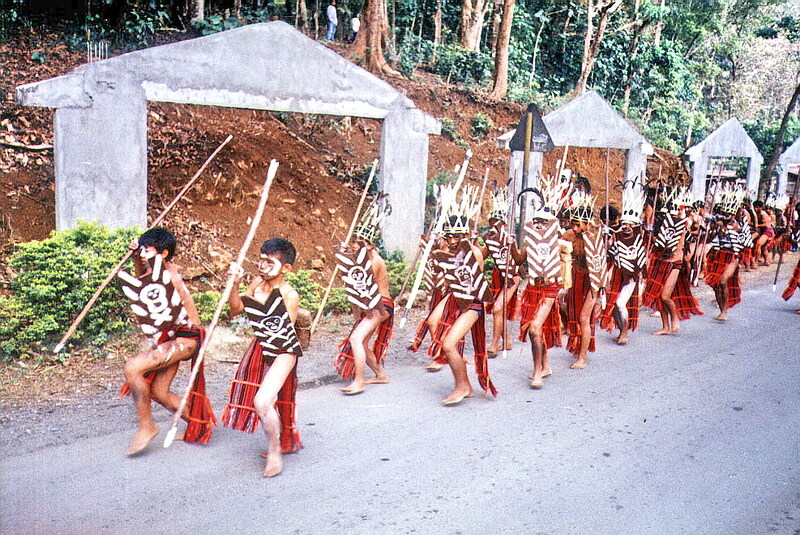 The town has a 2,001 population of 13,942, 75-80% of which are Kalanguyas which inhabit 13 of the town’s 16 barangays. The rest are Ilocanos and Tagalogs. The Kalanguyas occupy the mountain ranges of the Caraballo Sur and belong to the Igorot tribe which include the Ibalois, Kankanai and Karaw. They are also found in the area west of Sta. Fe, the eastern portion of Benguet plus some areas of Pangasinan, Ifugao and Nueva Ecija. The Kalanguyas were formerly called Ikalahans (from a tree having broad leaves), an ethnolinguistic name first coined by American anthropologist and missionary Delbert Rice. Pastor Rice maintained that Kalanguya was a derogatory tribal name, it being a contraction of “kelan ngoy ya?” which is best translated as “What in the world is that?,” an expression commonly uttered to indicate contempt. This was contradicted during the Kalanguya-Ikalahan Tribal Consultation (July 6-7, 1993) which confirmed that the Kalanguya name is not derogatory but a word of peace. The hardworking Kalanguyas are kaingin (slash and burn) farmers. The delicious kamote (sweet potato), raised in inum-an (upland farms or swiddens), is their staple food. 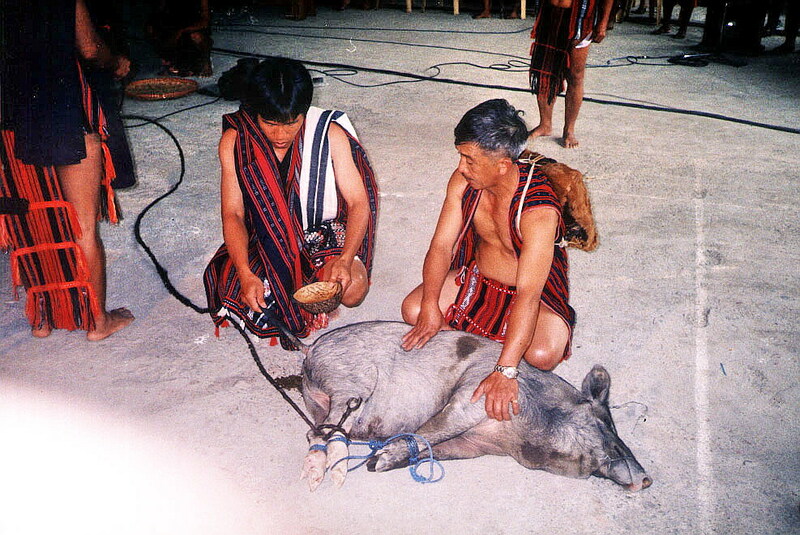 They also raise the indispensable pig, used in almost all occasions like the canao (socio-religious celebration), wedding celebrations and tongtongan (a traditional system of settling disputes). Kalanguyas in Brgy. Imugan (the Kalanguya center), also produce jams and jellies made from guava, santol, bignay or wild berries and Ifugao handicrafts like bamboo baskets, woodcarvings and exotic and beautiful handwoven fabrics (used as tapis by women and g-strings by the men). The Kalanguya Festival, held in conjunction with the town’s fiesta, was started in 1996 during the first term of youthful Mayor Teodorico DP. Padilla (of Tagalog-Ilocano descent) and elderly Vice-Mayor Donior Tidang (a Kalanguya). 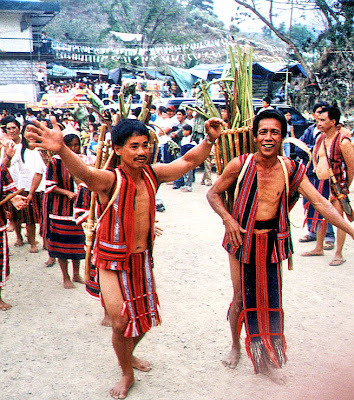 This lowlander-highlander tandem were instrumental in dissolving lowlander discrimination and the prevailing differences between these two peoples by presenting the culture of the Kalanguyas to the lowlanders. The first Kalanguya Festival was a step in the right direction with its theme “Nah-Nah Yaw Ni Puli, Hak-Hakay Ni Manhilbi” (Despite Cultural Diversity, In Service There is Unity). The festival aims to conserve, preserve and protect the almost-forgotten Kalanguya cultural heritage, especially to the younger generation, amidst modernization and high technology. 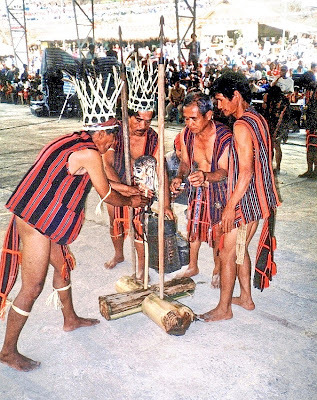 Slowly, the Kalanguyas are being recognized as a component for society’s progress and a feeling of brotherhood now exists between the two peoples. The festival also brought enormous progress and development in the town and its people’s lives. This year, with the Padilla-Tidang tandem still in governance, the 8th staging of this festival proved to be just as successful as the first. The festival proper kicked off with an early morning parade of floats from Consuelo to the plaza coupled with street dancing by participants in native attire (g-strings for men and tapis for women). 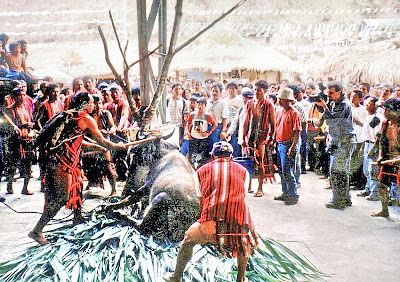 At the gymnasium, we witnessed a showcase of the cultural heritage of the tribe through displays and exhibits, songs and dances, chants and rituals (kiyad), exhibit of traditional arts and crafts, indigenous games and sports and sacrifices of a pig and a carabao. In the evening, a performance of the play Ibong Adarna, featuring Wowee de Guzman, was held at the town gymnasium. At 9 AM the next day, March 16, we all left Sta. Fe for Manila via a passing Victory Liner bus and arrived in Manila by 4:30 PM.